The best tools for understanding your online customers, competitors and campaign effectiveness? We aim to review and compare tools for managing different digital activities on Smart Insights, so we have many of these tools covered in other posts, so I’ll link to these where relevant. There's a diverse mix of free tools available, one of the enjoyable aspects of working in digital marketing today. I’ll start with the most widely used. Please let us know about the “essential free tools” you use in the comments. 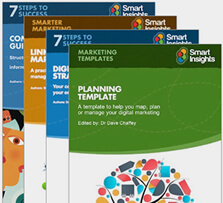 For many more tools suggestions - check out our free guide to digital marketing tools. We've structured it around our RACE planning framework covering 30 categories of digital marketing tools that every business that is serious about improving digital marketing needs. Apart from the insights tools we cover here, it includes many more tools needed for essential digital marketing activities like conversion rate optimiization, personalization and marketing automation. 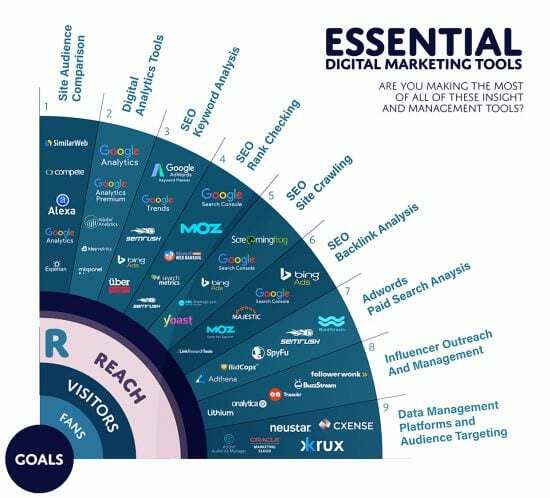 To help highlight the range of great online marketing services available, this guide and the infographic accompanying it recommend the categories of tools you should consider and highlights the 150 most popular, most capable tools. 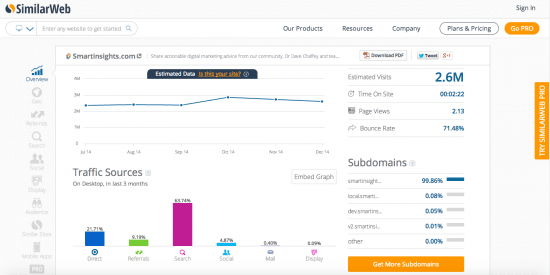 In this article, I'll cover 10 or so tools across 8 key digital marketing analysis activities that 'hands-on' digital marketers need to follow. Many marketers still swear by Google Alerts for reviewing mentions of their brand, campaign hashtags or competitor names by entering keywords, so it’s still widely used. However, it's mainly based on analysis of sites and misses out on social media mentions. 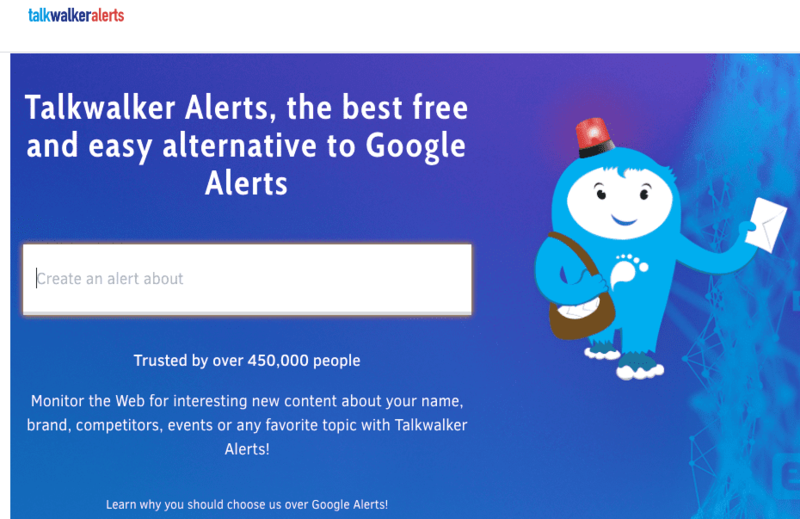 To help here I recommend the free Talkwalker Alerts service from the social listening service Talkwalker. 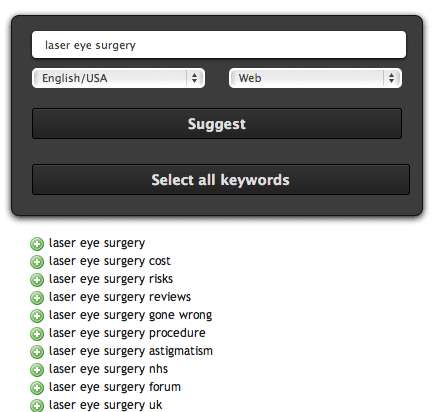 Talkwalker’s Free social search also monitors mentions of you brand, hashtags and competitors on social media. Although RSS isn’t “in vogue” as it was 5+ years ago, I still find there’s no substitute for using this as a listening post for developments in your industry. When I wrote the previous post I used Google Reader to categorise sites to keep up-to-date with the latest developments in digital. When Google withdrew this since there was no revenue in it (Boo!) I used Reeder as an offline client on my Macbook Air and iOS for a while. But now I recommend Feedly since it's the most popular so you can see by the 'voice of the crowd' which posts are most popular. 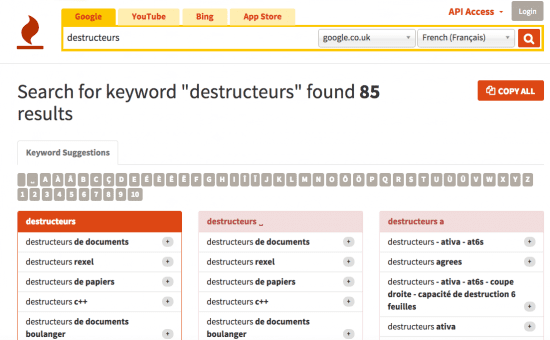 Similar to the feature in PostRank that Google also killed off. Although feed readers aren't in fashion they are the most efficient way to scan the latest news in different categories. 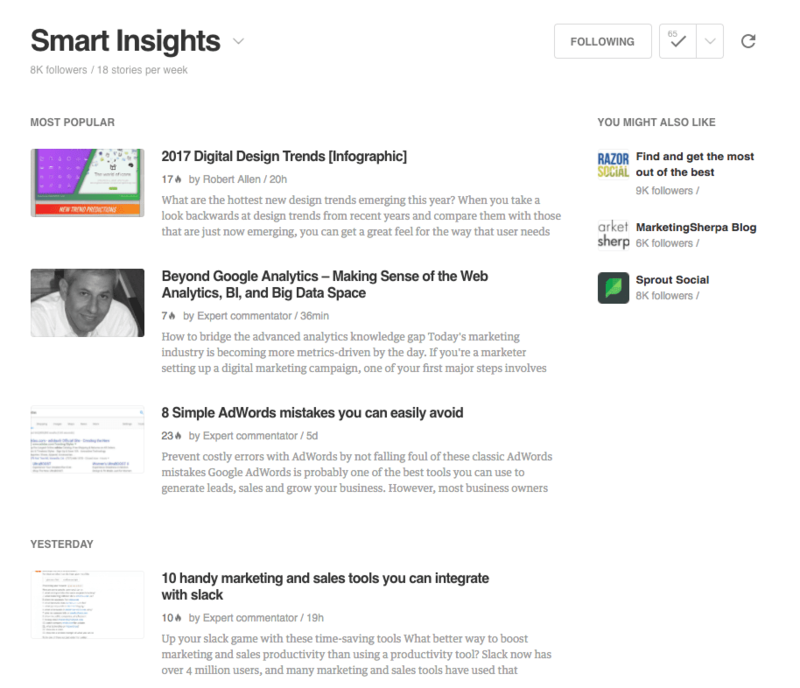 So if you don't use them try Feedly out - our analytics shows it's one of the most common referrers to Smart Insights - do bookmark us! I’ve used Hootsuite for posting updates to social networks and reviewing what others are saying for nearly five years now after using Tweetdeck back in the day - Twitter killed that one off for general use. 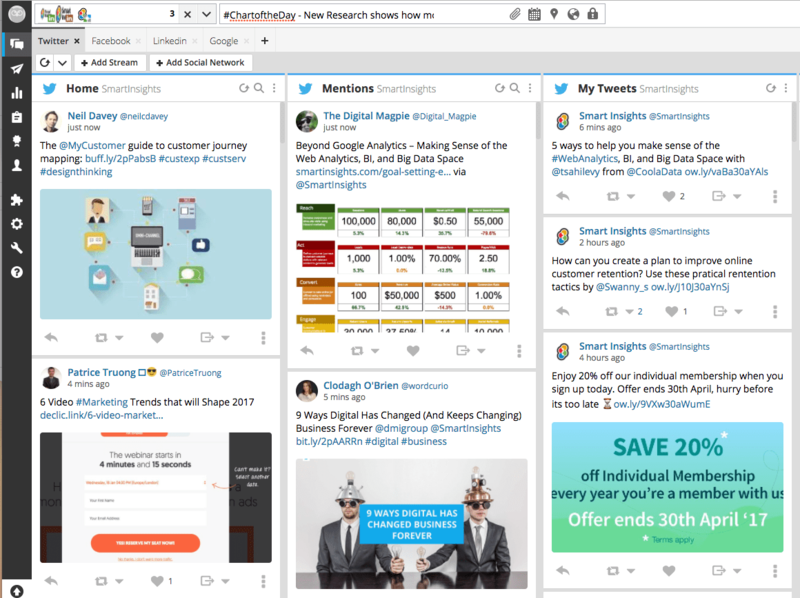 Hootsuite and Buffer are comfortably the most popular free tools for posting and reviewing social media updates, you probably use them. 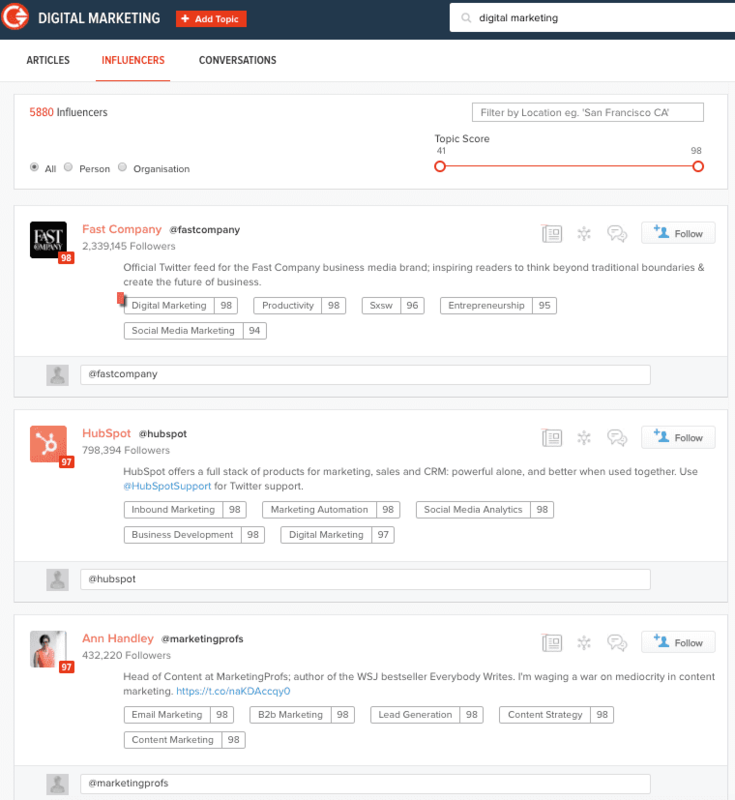 But Hootsuite is great as a way of keeping tabs on competitors and influencers too. If you use Twitter lists you can have a stream for each of these which is more practical than following everyone. There is no single free tool that works well for this. Often using Google or LinkedIn manually are the best way. A long while ago you could use reputation tools like Klout, Kred or Peerindex, but these have faded. I find that the use of Twitter autofollow means that this often skews the results. LinkedIn sector skills used to be the best source for finding business influencers because of grouping by narrower topics - but LinkedIn killed this - monetisation again. LinkedIn advanced search is probably the best replacement. 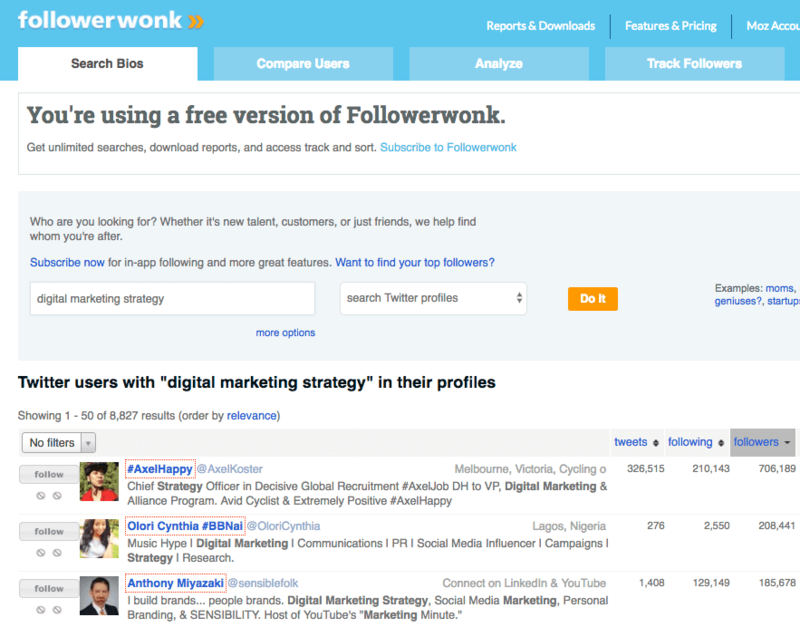 Followerwonk is often mentioned as a free service which can be used to find influencers via their Twitter bio, but this limits it as this examples show. Most marketers I know wouldn't know of the top 3 'influencers' here, instead they are being rewarded for the use of autofollow bots. For me, Right Relevance is a much better tool that identifies both publishers and influencers as this example shows. It is still over-dependent on the text in the bio though, so it's useful to try different alternatives. 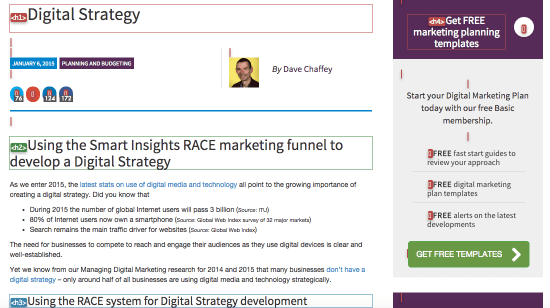 Still, I'm interested to know alternatives readers use here - please share via @SmartInsights. With search still the best acquisition channel driving the majority of visits, leads and sales for most businesses online, I believe that even marketers who outsource their SEO need to understand different types of customer behaviour when searching to help develop strategies for getting visibility AND creating content and messages to help meet consumer needs. When I first wrote this post I recommended the Google Keyword Tool, but now it's been renamed to the Google Keyword Planner, but is still THE indispensable tool alongside the Google Webmaster Tools integration now that The Growth of Not Provided keywords means we can't use analytics reliably to find referring keywords. Here's the original. The latest version shows mobile estimates too. Google Insights for search has now been folded into Google Trends essential for understanding seasonal search behaviour trends in different countries. Ubersuggest is also useful for summarising the Suggest/Autocomplete behaviour in different countries to check your covering the main behaviours. It's now owned by Neil Paatel. It used to be that Google AdPlanner was unbeatable for comparing audience size and dimension. That's been folded into AdWords as the Campaign Planner and now limited to media sites, but still useful for finding size and quality of audience for partner and media sites and don't forget about the related Google Placement Targeting Tool useful for remarketing and research. 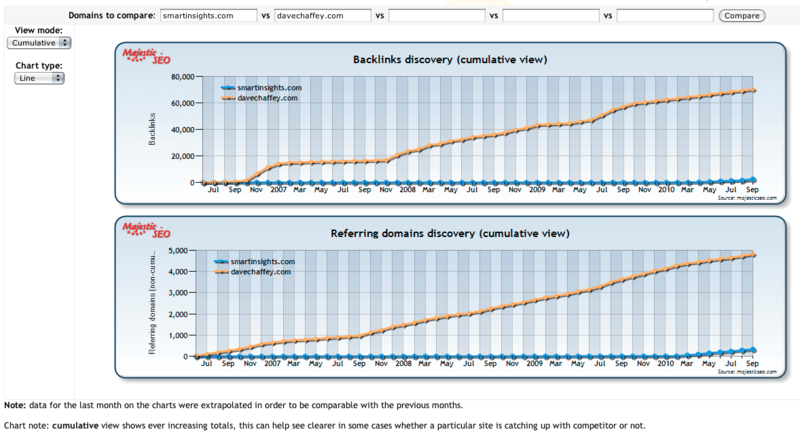 Lots of tools in this category, see our comparison of 6 best backlink analysis tools. Hubspot's Site, now Marketing Grader for reviewing on-page for SEO is often mentioned as a useful tool by people on courses. I believe that Google Analytics or an equivalent is essential for all who work in marketing to master at some level. To help here, we have many articles of advice you can access from our Google Analytics hub. 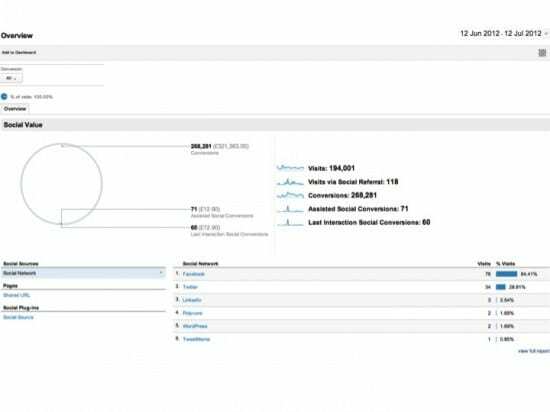 The most popular is on using Google Analytics for social media marketing. If you know all these tools, try the Google Agency Toolkit where they group all their tools together. I hope this compilation is useful, what do you find most useful of the digital marketing tools we have covered here and other tools we don't? Please share via @SmartInsights.